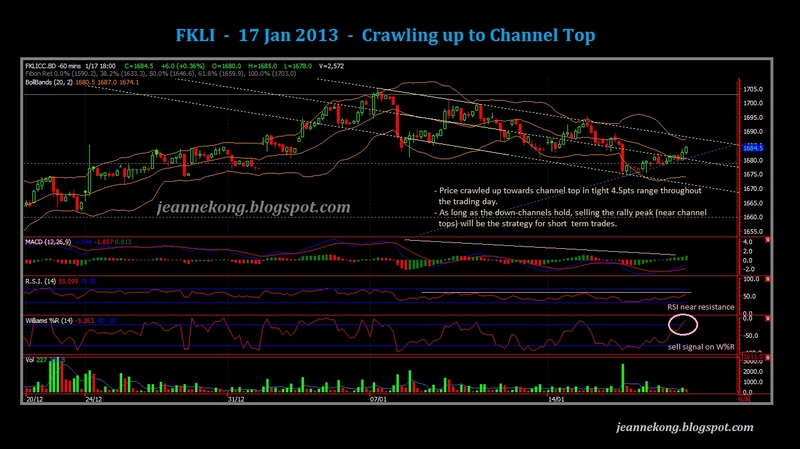 On FKLI, price slowly crawl up towards the channel top in tight 4-5pts range throughout the trading session. It then managed to close near day high at 1,684.5, recovered about half of yesterday's drop, & sitting right above the support of daily BB mid-band. This indicate that buyers are still enthused, while sellers aren't confident enough to go all out, yet. On the short term, the downtrend channels still manage to house the price, gradually oscillating downwards. Any rally back to find the channel top will be a good short entry. 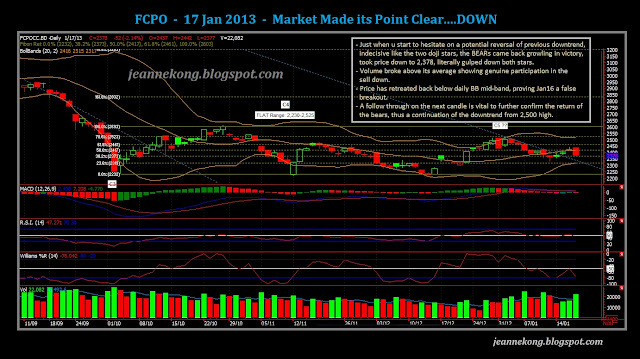 On a medium term view, the rally from 1,590, Nov'12 low, still holds. A stronger threat of further downside will only be come when the price violates the immediate support of 1,678. 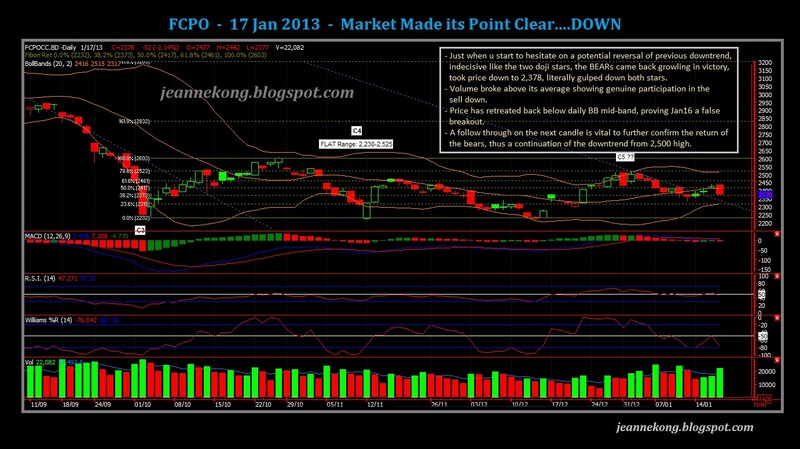 In a stark contrast, CPO gave fantastic moves today, to the downside, after three days of boredom in tight ranges. Today, the market made itself clear that it might prefer to go down further (~just when I need it the most~). The indication is loud & clear enough, with an above-average daily volume, & the obvious fact that today's candle totally reversed previous two days' gapping-up movement, closed low at 2,378, below Jan15 low. I'd like to see more follow-through tomorrow to confirm further that the downtrend from 2,500 high has indeed resumed. However, bear in mind that it's a Friday tomorrow, & that traders might square off their positions ahead of the weekend. I'll be cautiously bearish tomorrow. Here's a video shared by a friend, a trader himself. 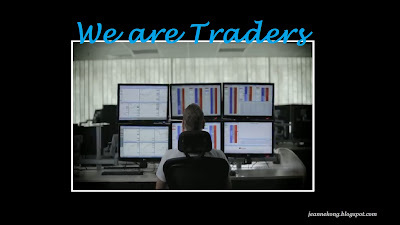 "We are Traders" - A tribute to Traders round the world!